Owning land isn’t just a deed in the county records. It’s a responsibility to be caretaker for the dirt, trees and wildlife residing on ground designed and built by God. With that duty comes plenty of work. To get the job done, you need the right equipment. That’s why Whitetail Properties is pleased to partner with the most iconic land brand ever - John Deere. Whether you need to get somewhere fast, pull something heavy or move something most might think immoveable, John Deere has everything you need to take care of your property. 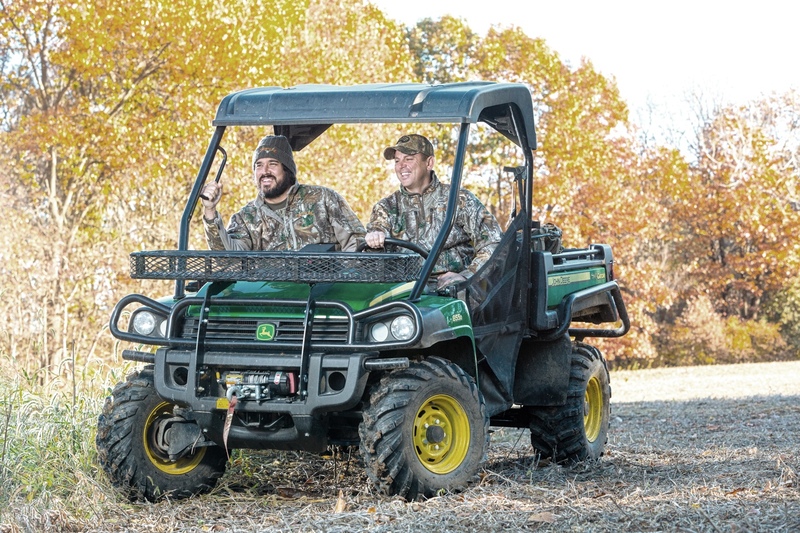 As a Whitetail Properties client, you’ll have exclusive John Deere equipment discounts and specials on everything from Gator UTVs, to lawn equipment, to the John Deere tractor lines trusted by landowners for generations through the John Deere Green Fleet program. Nothing can match the feeling you get when you take your first step on your own property. Nothing can match the expertise and service you’ll experience when working on a land transaction with Whitetail Properties. Nothing Runs Like a Deere. 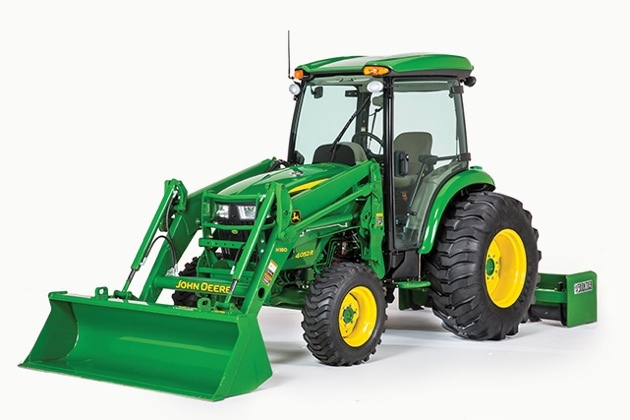 Below are John Deere products we endorse for the average American landowner. 65.9 HP turbocharged diesel engine is plenty of power for common farm and hunting property work. Hydrostatic transmission is simple to operate. If you can drive a car, you can drive the 4066R. iMatch quick hitch helps you hook up implements on your own in seconds. Hitch assist allows you to exit the cab and operate reverse from the ground, for backing up to implements. 812cc liquid-cooled, 50 HP engine is simply a powerhouse. You’ll run out of traction, before you run out of power. Wide wheelbase and low center of gravity help you maneuver on slopes and when hauling heavy loads like sprayers, seeds, firewood and more. 44 mph top speed - any faster and you won’t have time to enjoy your land around you. Comfortable dual bucket seats or bench seat available in two-person model. Or dual bench seats available in 4-person model. Need help with your equipment purchase? Contact your local Whitetail Properties agent for equipment recommendations and John Deere dealer information for your area. Want to do it on your own? 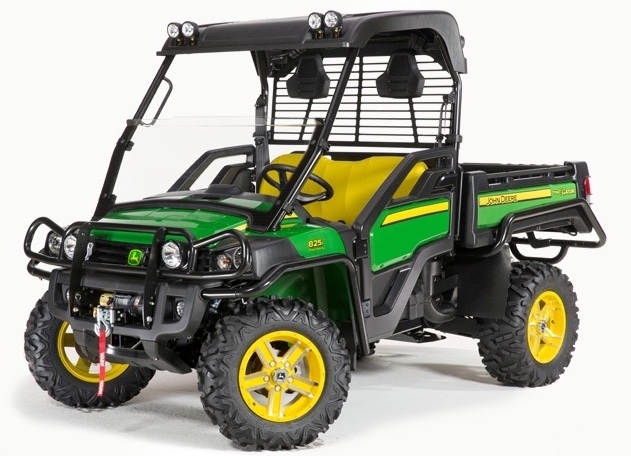 Customize your own John Deere UTV or Tractor with John Deere’s product configurator.